Summary: To Ruby Jane, her 10 year old sister, Velma Jean, is the bravest of all. 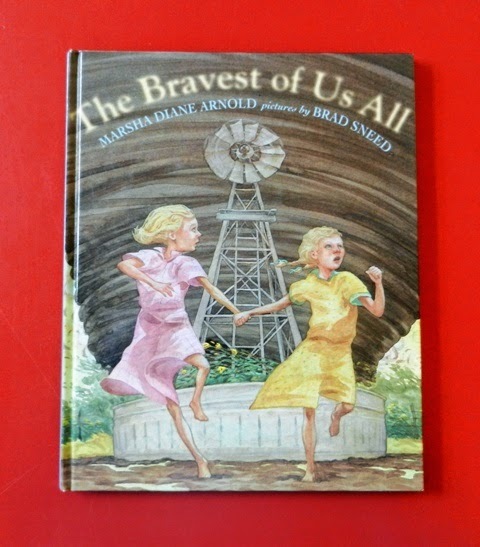 However, when Velma Jean refuses to enter a storm shelter as a tornado approaches because of her claustrophobia, Ruby Jane discovers that she too has strengths & great courage. Hanna’s Comments: I especially loved this book because of its loving relationships between the large group of siblings, especially the 2 sisters, Ruby Jane & Velma Jean. Also, it normalizes fear, but offers no explanation which we often don’t have for our real life fears.